Algeria Win Silver Cup, Reach Top Tier Of African Rugby - The Maghreb Times ! Algeria won the Silver Cup and promotion to the top tier of African rugby when they hammered hosts Zambia 31-0 in the final this weekend. Mathieu Loree, Frederic Medves, Jonathan Best and Walid Batchali scored tries for the ‘Lion Cubs’, who led 17-0 at half-time in Zambian mining town Mufulira. The other 11 points came from the boots of Johan Bensalla (three conversions, penalty) and Enzo Kralfa (conversion). Winning the second-tier competition lifted the north African nation to the Gold Cup next season and, in a post-match surprise, Zambia discovered they will also be promoted. “I have good news for Zambia — they have also qualified for the Gold Cup as we are expanding from six teams to eight,” revealed Rugby Africa president Abdoulaziz Bougla. 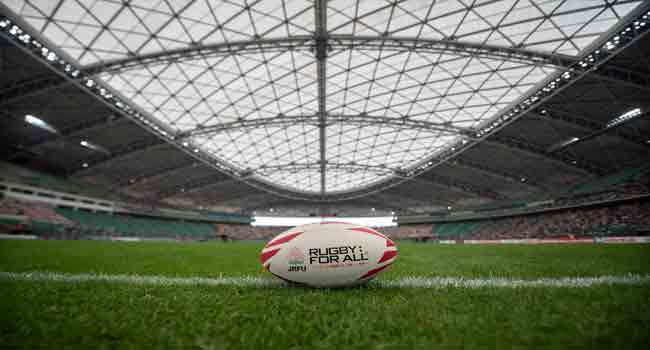 Algeria and Zambia will join 2019 Rugby World Cup qualifiers Namibia, Kenya, Uganda, Tunisia, Zimbabwe and Morocco in the top tier next season. South Africa and Namibia are in the same World Cup pool and Kenya could join them if they win a repechage tournament in Marseille that includes Canada, Germany and Hong Kong. Test nation and two-time world champions South Africa are too strong to compete in Rugby Africa competitions. Algeria beat the Ivory Coast and Senegal in Toulouse three months ago to qualify for the Silver Cup final while Zambia secured their place with wins over Madagascar and Botswana. Rugby Africa says the number of participants is growing rapidly in a continent where football is by far the most popular sport.